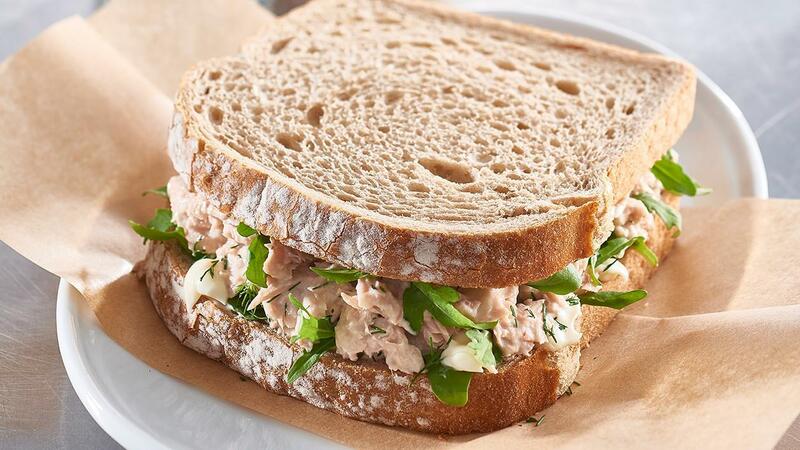 Tuna with mayo is a classic sandwich option with added fresh dill and rocket for texture and crunch. Mix together the tuna, dill and HELLMANN’S Deli Mayonnaise until fully combined. Spread the tuna mixture over the bread, top with rocket leaves and serve. Change up the fish in this recipe by using spring water salmon instead of tuna.